Martho Ghariani from Oasis Games has this week revealed that the games studio is currently developing five games for launch on Sony’s new PlayStation VR virtual reality headset. 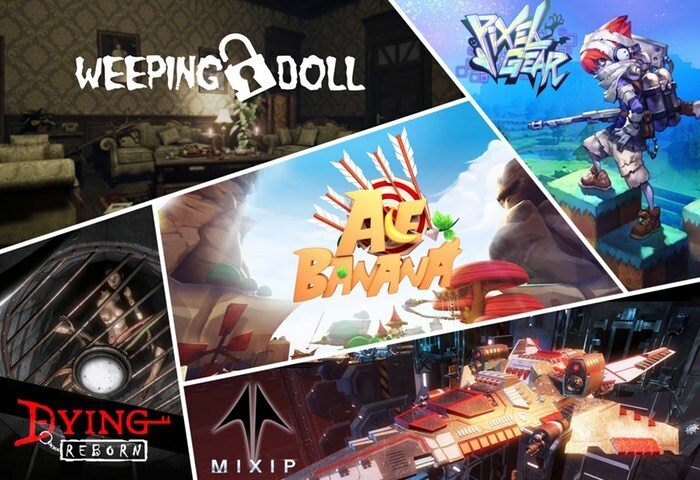 The five games will launch in conjunction with the PlayStation VR hardware on October 13th, 2016 and take the form of story-driven horror, pixel shooter and arcade archery to name a few. Weeping Doll – A story-driven horror adventure where dolls can come alive, animated by the angry thoughts that arise whenever their children feel wronged. You’ll navigate tough puzzles in eerie environments to solve the mystery of an abused girl’s doll that takes revenge on her parents — and things only get scarier from there! Pixel Gear – Shoot those pixel monsters! This game is a colorful 3D pixel shoot-em-up with a variety of crazy cartoon monsters and ghosts as enemies. Each level is packed with interactive objects that exhibit entertaining reactions when hit, and upgradeable weapons grant the ability to slow down or even stop time. Ace Banana – If you’re a Banana Archer protecting a stash of bananas, there’s one thing you need to watch out for. That’s right, monkeys! In this arcade archery game, you’ll grab your bow and fight off waves of marauding monkeys — because if they get all your bananas, it’s game over. The game features waves of enemies, intuitive archery using one Move controller for your bow hand and another for your arrow hand, and single and multiplayer modes. Dying: Reborn – Prepare to delve into a dark, horror-themed puzzle game that recreates a unique first-person room escape experience in VR. You’ll examine, collect, and use items to solve a variety of creative puzzle types to escape each spooky room, feeling shivers down your spine at every turn! Mixip – In this arcade space shooter, you’ll control two ships simultaneously, wielding a Move controller in each hand. Combine the ships for new abilities, dodge heavy fire, and grab upgrades to increase weapon power and take down bosses! It’s like a throwback to bullet hell shooters of the past, but brought to life in a cool VR world where you take your fate in your hands — literally.